Reisinger also explains about some Asian companies that send in application forms for big stands. Later they appear to be traders that want to sell the square meters to others in Asia for huge prices. Of course such demands are not met. 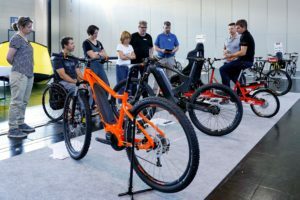 The fact that this year’s Eurobike will again be bigger than ever is also reason for Reisinger’s optimism on the waiting list. The organizers are planning to expand Hall A7 with what is called a ‘Lightweight Hall’. Depending on demand such an extra hall could be 30 to 80 meters long. 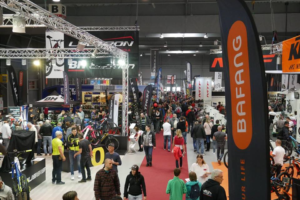 Other new features at Eurobike 2010, which is taking place from September 1 – 4, 2010 (public day on September 5), is that the bike-wear companies will switch from their usual A4 hall to B5. This hall is close to the Foyer East where the Bike Fashion Show will take place this year. Eurobike 2010 will also have a bigger than ever before focus on e-Bikes. 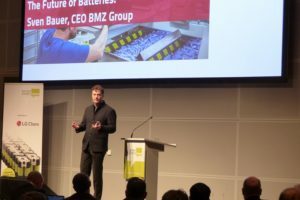 Next to more companies exhibiting electric bicycles and e-Bike components, there will be a 500 meter long test track with a built-in 12% hill. 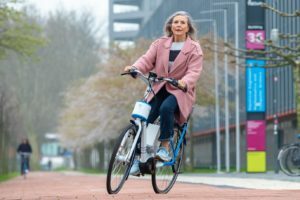 Here the newest breed of e-Bikes; the so-called speed-pedelecs, will be able to show their performances. Last but certainly not least; once Eurobike 2010 starts two new access roads South and North, leading up to the exhibition center will be in use. 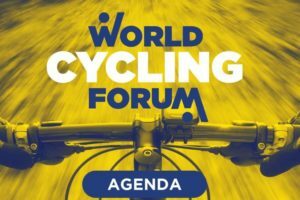 In combination with all the measures that were in place last year (like the 500 bikes available to get to and from the show; the close cooperation with city traffic police) Eurobike organizers are optimistic about smooth show traffic this year. By the way; opening hours are unchanged; from 8:30 – 18:30.